The radiant Copper Black bodywork on this D110 glimmers in the late afternoon sunshine. 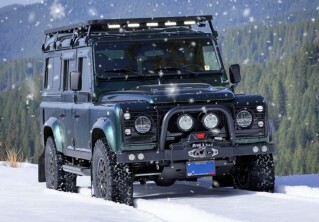 The creator of this Defender is a fan of all things out of Africa; choosing to signify this passion with embroidered headrests and a bespoke wheel cover featuring one of the ‘Big Five’. Just like the mighty water buffalo, this station wagon is the epitome of power and strength, leading the stampede on KAHN Defend 1983 alloys shod with BFGoodrich AT KO2s. SAVANNAH will certainly not follow the herd when it migrates to Houston, Texas. Stand out from the crowd and start your Arkonik journey today. 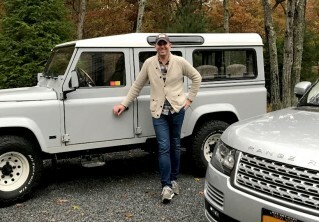 The Arkonik team has done an excellent job in working with me on every detail of my Defender build. Check out SAVANNAH D110 Edition here or contact us for more information.